Stamm, Emma. “Retooling ‘The Human.’” Social Epistemology Review and Reply Collective 7, no. 1 (2018): 36-40. Throughout Animal Constructions, Shew makes the case that this is more than simply an interesting question. It is, she says, a necessary interrogation within a field that may well be suffering from a sort of speciesist myopia. Blending accounts from a range of animal case studies — including primates, cetaceans, crows, and more — with pragmatic theoretical analysis, Shew demonstrates that examining animal constructions through a philosophical lens not only expands our awareness of the nonhuman world, but has implications for how humans should conceive of their own relationship with technology. At the beginning of Animal Constructions, Shew presents us with “the human clause,” her assessment of “the idea that human beings are the only creatures that can have or do use technology” (14). This misconception stems from the notion of homo faber, “(hu)man the maker” (14), which “sits at the center of many definitions of technology… (and) is apparent in many texts theorizing technology” (14). It would appear that this precondition for technology, long taken as dogma by technologists and philosophers alike, is less stable than has often been assumed. Placing influential ideas from philosophers of technology in dialogue with empirical field and (to a lesser extent) laboratory studies conducted on animals, Shew argues that any thorough philosophical account of technology not only might, but must include objects made and used by nonhuman animals. Animal Constructions and Technical Knowledge lucidly demonstrates this: by the conclusion, readers may wonder how the intricate ecosystem of animal tool-use has been so systematically excluded from philosophical treatments of the technical. Shew has accomplished much in recasting a disciplinary norm as a glaring oversight — although this oversight may be forgivable, considering the skill set required to achieve its goals. The author’s ambitions demand not only fluency with interdisciplinary research methods, but acute sensitivity to each of the disciplines it mobilizes. Animal Constructions is a philosophical text wholly committed to representing science and technology on their own terms while speaking to a primarily humanities-based audience, a balance its author strikes gracefully. Indeed, Shew’s transitions from the purely descriptive to the interpretive are, for the most part, seamless. For example, in her chapter on cetaceans, she examines the case of dolphins trained to identify man-made objects of a certain size category (60), noting that the success of this initiative indicates that dolphins have the human-like capacity to think in abstract categories. This interpretation feels natural and very reasonable. Importantly, the studies selected are neither conceptually simple, nor do they appear cherry-picked to serve her argument. A chapter titled “Spiderwebs, Beaver Dams, and Other Contrast Cases” (91) explores research on animal constructions that do not entirely fit the author’s definitions of technology. Here, it is revealed that while this topic is necessarily complicated for techno-philosophers, these complexities do not foreclose the potential for the nonhuman world to provide humans with a greater awareness of technology in theory and practice. That being said, in certain parts, the empirical observations Shew uses to make her argument seem questionable. In a chapter on ape and primate cases, readers are given the tale of Santino, a chimpanzee in a Switzerland zoo with the pesky habit of storing stones specifically to throw at visitors (40). Investigators declared this behavior “the first unambiguous evidence of forward-planning in a nonhuman animal” (40) — a claim that may seem spurious, since many of us have witnessed dogs burying bones to dig up in the future, or squirrels storing food for winter. However, as with every case study in the book, the story of Santino comes from well-documented, formal research, none of which was conducted by the author herself. If it was discovered that factual knowledge such as the aforementioned are, in fact, erroneous, it is not a flaw of the book itself. Moreover, so many examples are used that the larger arguments of Animal Constructions will hold up even if parts of the science on which it relies comes to be revised. In making the case for animals so completely, Animal Constructions and Technical Knowledge is a success. The book also makes a substantial contribution with the methodological frameworks it gives to those interested in extending its project. Animal Constructions is as much conceptual cartography as it is a work of persuasion: Shew not only orients readers to her discipline — she does not assume readerly familiarity with its academic heritage — but provides a map that philosophers may use to situate the nonhuman in their own reflection on technology. This is largely why Animal Constructions is such a notable text for 21st century philosophy, as so many scholars are committed to rethinking “the human” in the wake of recent innovations in technoscience. 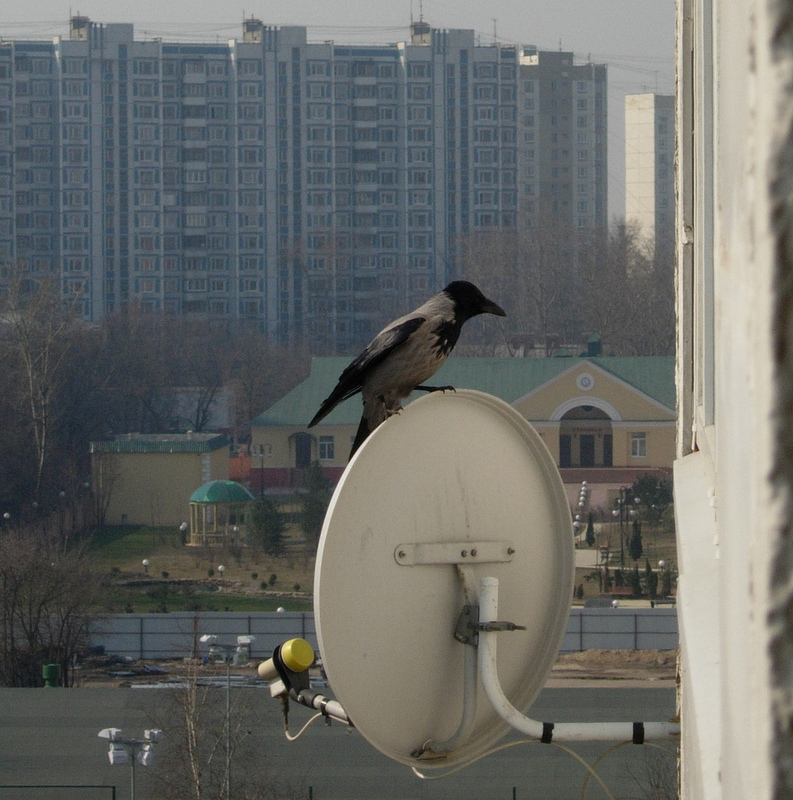 Animal Constructions is of particular interest to critical and social epistemologists. 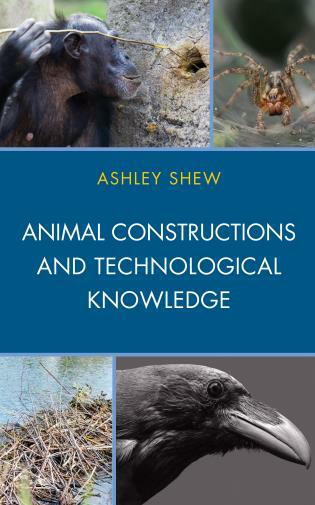 Its opening chapters introduce a handful of ideas about what defines technical knowledge, concepts that bear on the author’s assessment of animal activity. Historically, Shew writes, philosophers of technology have furnished us with two types of accounts of technical knowledge. The first sees technology as constituting a unique case for philosophers (3). In this view, the philosophical concerns of technology cannot be reduced to those of science (or, indeed, any domain of knowledge to which technology is frequently seen as subordinate). “This strain of thought represents a negative reaction to the idea that philosophy is the handmaiden of science, that technology is simply ‘applied science,’” she writes (3). It is a line of reasoning that relies on a careful distinction between “knowing how” and “knowing that,” claiming that technological knowledge is, principally, skillfulness in the first: know-how, or knowledge about “making or doing something” (3) as opposed to the latter “textbook”-ish knowledge. Here, philosophy of technology is demarcated from philosophy of science in that it exists outside the realm of theoretical epistemologies, i.e., knowledge bodies that have been abstracted from contextual application. If “know-how” is indeed the foundation for a pragmatic philosophy of technology, the discipline would seem to openly embrace animal tools and constructions in its scope. After all, animals clearly “know how” to engage the material world. However, as Shew points out, most technology philosophers who abide by this dictum in fact lean heavily on the human clause. “This first type of account nearly universally insists that human beings are the sole possessors of technical knowledge” (4), she says, referencing the work of philosophers A. Rupert Hall, Edwin T. Layton, Walter Vincenti, Carl Mitcham, and Joseph C. Pitt (3) as evidence. The human clause is also present in the second account, although it is not nearly so deterministic. This camp has roots in the philosophy of science (6) and “sees knowledge as embodied in the objects themselves” (6). Here, Shew draws from the theorizations of Davis Baird, whose concept “thing knowledge” — “knowledge that is encapsulated in devices or otherwise materially instantiated” (6) — recurs throughout the book’s chapters specifically devoted to animal studies (chapters 4, 5, 6 and 7). Scientific instruments are offered as perhaps the most exemplary cases of “thing knowledge,” but specialized tools made by humans are far from the only knowledge-bearing objects. The parameters of “thing knowledge” allow for more generous interpretations: Shew offers that Baird’s ideas include “know-how that is demonstrated or instantiated by the construction of a device that can be used by people or creatures without the advanced knowledge of its creators” (6). This is a wide category indeed, one that can certainly accommodate animal artefacts. The author adapts this understanding of thing-knowledge, along with Davis Baird’s five general ideals for knowledge — detachment, efficacy, longevity, connection and objectivity (6) — as a scale within which some artefacts made and used by animals may be thought as “technologies” and others not. Positioned against “know-how,” “thing knowledge” serves as the other axis for this framework (112-113). Equally considered is the question of whether animals can set intentions and engage in purpose-driven behavior. Shew suggests that animal constructions which result from responses to stimuli, instinctive behavior, or other byproducts of evolutionary processes may not count as technology in the same way that artefacts which seem to come from purposiveness and forward-planning would (6-7). Noting that intentionality is a tenuous issue in animal studies (because we can’t interview animals about their reasons for making and using things), Shew indicates that observations on intentionality can, at least in part, be inferred by exploring related areas, including “technology products that encode knowledge,” “problem-solving,” and “innovation” (9). These characteristics are taken up throughout each case study, albeit in different ways and to different ends. At its core, the manner in which Animal Constructions grapples with animal cognition as a precursor to animal technology is an epistemological inquiry into the nonhuman. In the midst of revealing her aims, Shew writes: “this requires me to address questions about animal minds — whether animals set intentions and how intentionality evolved, whether animals are able to innovate, whether they can problem solve, how they learn — as well as questions about what constitutes technology and what constitutes knowledge” (9). Her answer to the animal-specific queries is a clear “yes,” although this yes comes with multiple caveats. Throughout the text, Shew notes the propensity of research and observation to alter objects under study, clarifying that our understanding of animals is always filtered through a human lens. With a nod to Thomas Nagel’s famous essay “What Is It Like To Be A Bat?” (34), she maintains that we do not, in fact, know what it is like to be a chimpanzee, crow, spider or beaver. However, much more important to her project is the possibility that caution around perceived categorical differences, often foregrounded in the name of scholarly self-reflexivity, can hold back understanding of the nonhuman. “In our fear of anthropomorphization and desire for a sparkle of objectivity, we can move too far in the other direction, viewing human beings as removed from the larger animal kingdom,” she declares (16). Emphasizing kinship and closeness over remoteness and detachment, Shew’s pointed proclamations about animal life rest on the overarching “yes:” yes, animals solve problems, innovate, and set intentions. They also transmit knowledge culturally and socially. Weaving these observations together, Shew suggests that our anthropocentrism represents a form of bias (108); as with all biases, it stifles discourse and knowledge production for the fields within which it is imbricated — here, technological knowledge. While this work explicitly pertains to technology, the lingering question of “what constitutes knowledge overall?” does not vanish in the details. Shew’s take on what constitutes animal knowledge has immediate relevance to work on knowledge made and manipulated by nonhumans. By the book’s end, it is evident that animal research can help us unhinge “the human clause” from our epistemology of the technical, facilitating a radical reinvestigation of both tool use and materially embodied knowledge. But its approach has implications for taxonomies that not only divide humans and animals, but humans, animals and entities outside of the animal kingdom. Although it is beyond the scope of this text, the methods of Animal Constructions can easily be applied to digital “minds” and artificial general intelligence, along with plant and fungus life. (One can imagine a smooth transition from a discussion on spider web-spinning, p. 92, to the casting of spores by algae and mushrooms). In that it excavates taxonomies and affirms the violence done by categorical delineations, Animal Constructions bears surface resemblance to the work of Michel Foucault and Donna Haraway. However, its commitment to positive knowledge places it in a tradition that more boldly supports the possibilities of knowing than does the legacies of Foucault and Haraway. That is to say, the offerings of Animal Constructions are not designed to self-deconstruct, or ironically self-reflect. In its investigation of the flaws of anthropocentrism, Animal Constructions implies a deceptively straightforward question: what work does “the human clause” do for us? — in other words, what has led “the human” to become so inexorably central to our technological and philosophical consciousness? Shew does not address this head-on, but she does give readers plenty of material to begin answering it for themselves. And perhaps they should: while the text resists ethical statements, there is an ethos to this particular question. Applied at the societal level, an investigation of the roots of “the human clause” could be leveraged toward democratic ends. If we do, in fact, include tools made and used by nonhuman animals in our definition of technology, it may mar the popular image of technological knowledge as a sort of “magic” or erudite specialization only accessible to certain types of minds. There is clear potential for this epistemological position to be advanced in the name of social inclusivity. Whether or not readers detect a social project among the conversations engaged by Animal Constructions, its relevance to future studies is undeniable. The maps provided by Animal Constructions and Technical Knowledge do not tell readers where to go, but will certainly come in useful for anybody exploring the nonhuman territories of 21st century. Indeed, Animal Construction and Technical Knowledge is not only a substantive offering to philosophy of technology, but a set of tools whose true power may only be revealed in time.